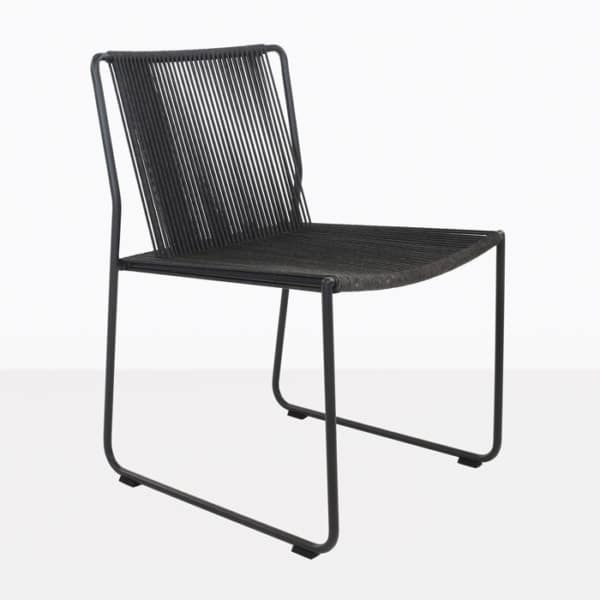 The Nero Rope Outdoor Dining Side Chair is truly noteworthy with impeccable styling, class and quality. 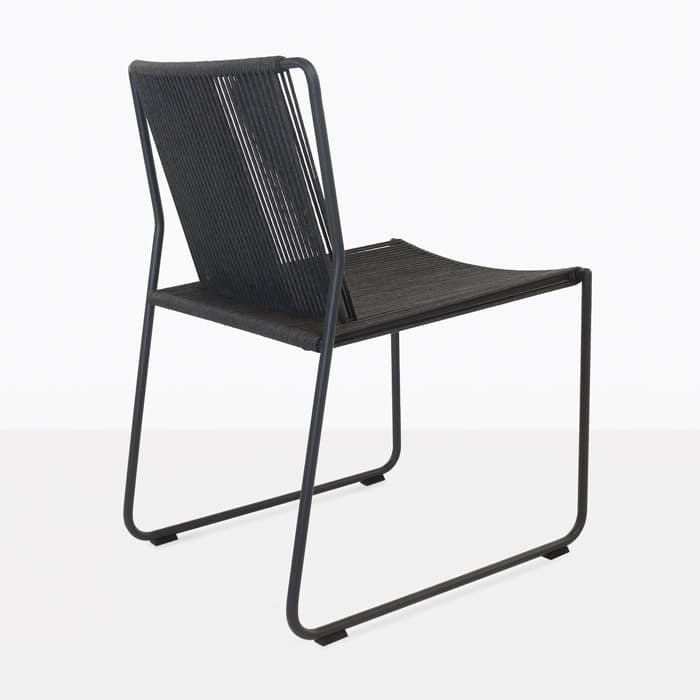 We combined a sleek powder coated aluminum frame with beautifully woven Italian outdoor rope. 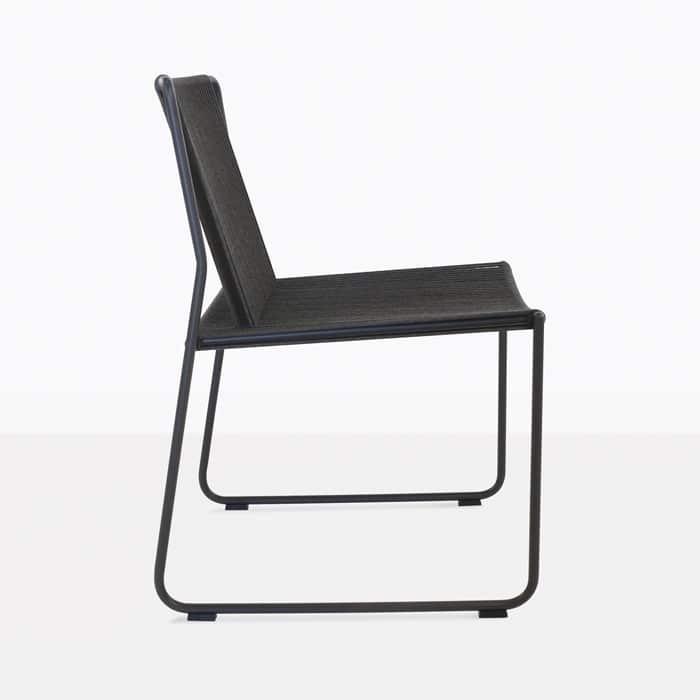 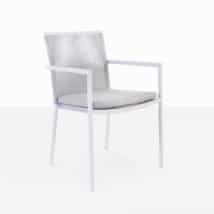 The result is a sleek, stunning dining chair in dark charcoal grey. 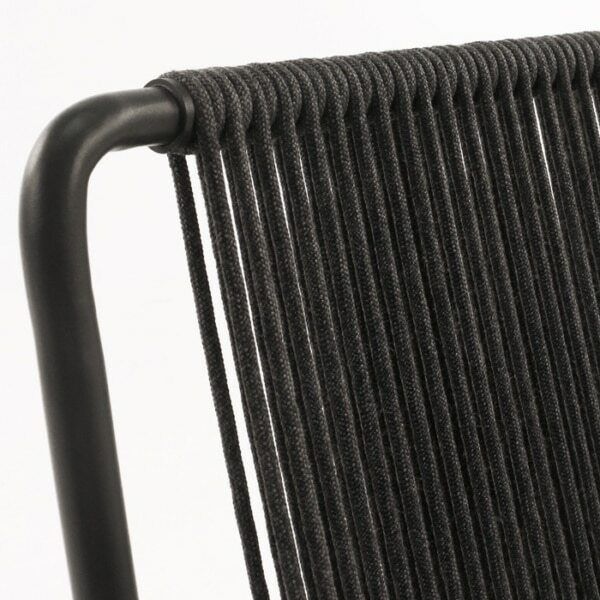 This dining chair is so unique because of the way the rope wraps around the frame. 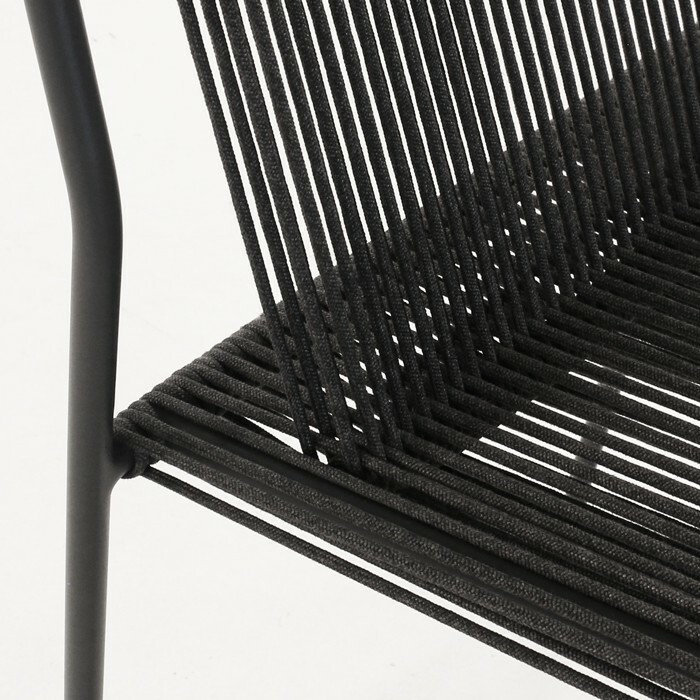 It appears simple, but is very intricate and precise. 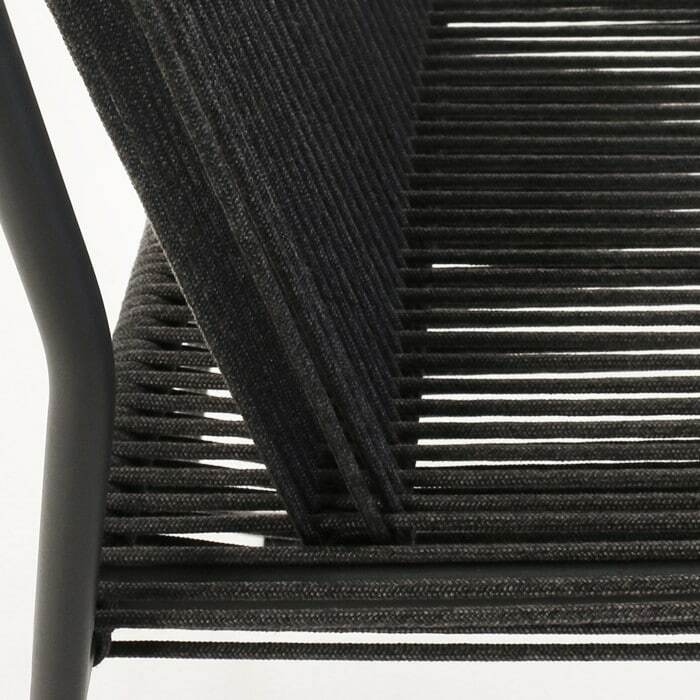 Just imagine how the sunlight will bounce through this light and airy design. The rope is strong, durable and has just the right amount of give to create a very comfortable seat so that no cushion is needed. 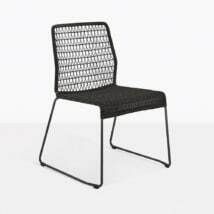 W19.5" x D23" x H32"
The Nero Rope Outdoor Dining Side Chair will go beautifully with many of the outdoor dining tables that Teak Warehouse offers. 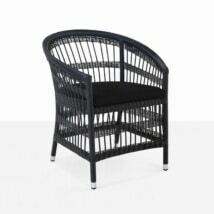 Pair it with a-grade teak, reclaimed teak or concrete dining tables depending on the look you like.